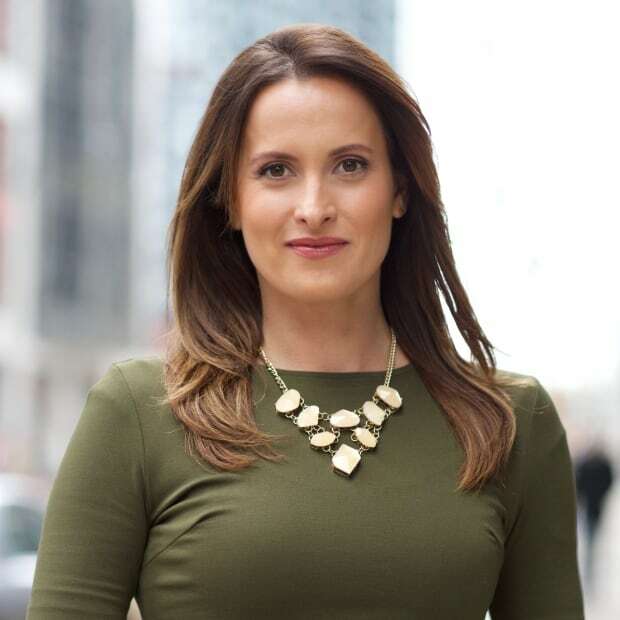 Some Toronto businesses aren't happy with the way waste is being dealt with in the city, so they’ve come up with their own solutions for recycling and composting. 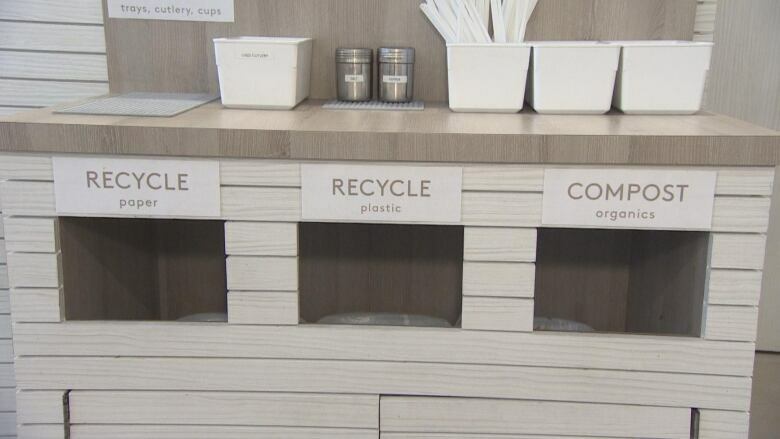 Some Toronto businesses aren't happy with the way waste is being dealt with in the city, so they've come up with their own solutions for recycling and composting. For Eric Chao, owner of Parka Food Co. on Queen Street W., that meant figuring out a way to deal with take-out containers, many of which aren't recyclable in the City of Toronto. "I started out with a mission to make vegan food accessible and easy to obtain," said Chao. "I was very shocked to find that coffee cups, for instance, or any poly-coated paper is not recyclable by the city. However I was even more shocked to find out that it technically is recyclable, but just that the city is not able to do it at this time." Hoping to lower his environmental footprint, Chao went looking for a solution and found Urban Street Organics, a company that collects recycling and composting from businesses all over Toronto. By using Urban Street Organics, Chao now doesn't have a garbage can. The only options at his restaurant are recycling or composting. "Most things can be recycled," said John Ciocioiu, who started Urban Street Organics after noticing that many offices don't have proper waste management systems like compost. Ciocioiu provides green and blue bins to companies and then collects their waste at night. He works with smaller sorting companies who are able to recycle the products that larger ones can't. When it comes to coffee cups, they're taken to a sorting facility and then the different elements are broken down. The city isn't able to do that, says Rob Orpin, interim general manager of Toronto's solid waste management services. The main reason, says Orpin, is there isn't a market large enough to deal with the amount of poly-coated containers Toronto produces. "When companies come forward and they say,'Yeah, we're able to recycle cups,' they'll maybe be able to take on 10 pounds as opposed to the 200,000 tonnes" that the city requires, said Orpin. Composting contamination is another issue the city deals with. It's spent millions on awareness campaigns explaining what goes in the green bin, but still non-organics end up inside. 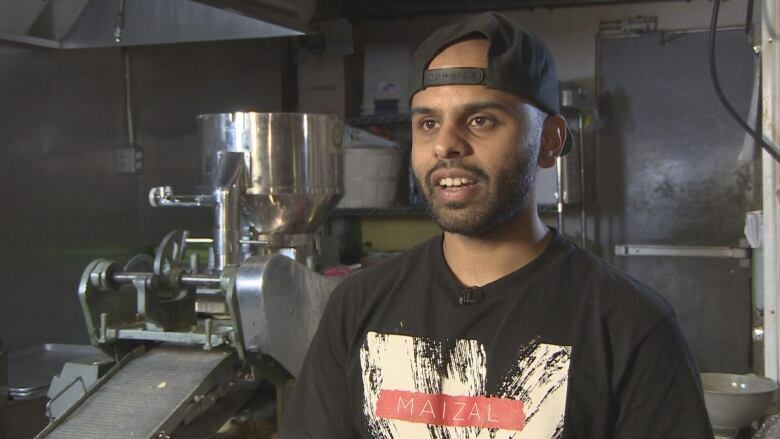 For Maizal Tortilleria Inc., a company that supplies organic corn tortillas to restaurants all over Toronto, it was important that all organic waste goes back to its roots. Saqib Siddiqi and his partners in the company also own a farm. "Any food waste we produce gets taken back to the farm where it's composted, and whatever is feasible for animal feed goes to the chicken and the ducks," said Siddiqi. Last year, they diverted more than 5, 440 kilograms (12,000 pounds) of food waste. Although it would be easier to opt into the city's compost services, Siddiqi says there's a risk that the food scraps could get contaminated with things like plastic and end up in the landfill instead. "There are more people that want to get interested [in what we're doing]," said Siddiqi. 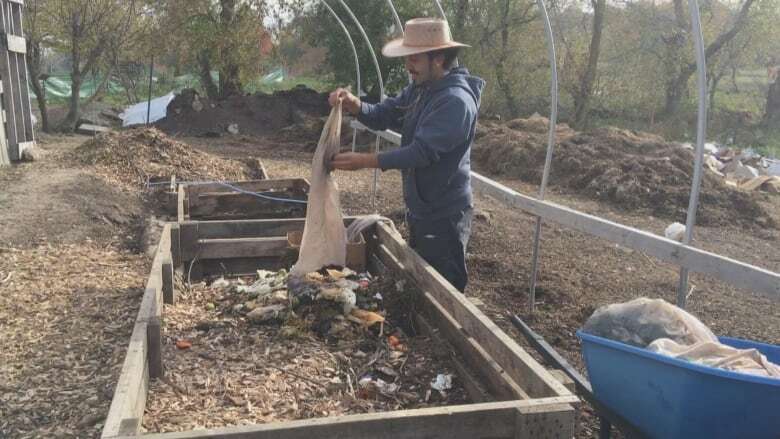 Siddiqi and his partners are currently exploring ways to make the farm composting option safe and feasible for other restaurants in the city.